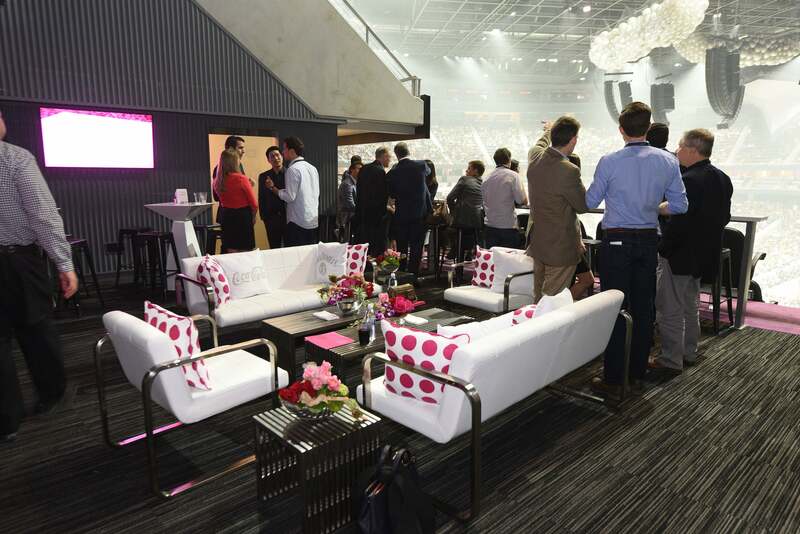 Creating the perfect environment for active business socializing, a limited number of Party Suites will be available at T-Mobile Arena. Party Suites consist of a large private room, the size equivalent of three traditional suites connected together, with a view to the arena bowl. Party Suite owners can take advantage of these amenities and benefits while networking with other suite owners to create new business opportunities. Each suite will be able to purchase up to 12 additional tickets for each public event on an event-by-event basis.